Dennis grew up in South Bend, Indiana. He received a B.A from Indiana University and his JD from Capital University Law School. Dennis is admitted to practice in Ohio and U.S. District Court, Southern District of Ohio. 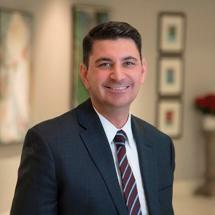 Dennis has been practicing law in Ohio since 2001, exclusively in Domestic Relations matters. Dennis handles cases in all areas of Family Law, including divorce, dissolution, custody, child and spousal support, and prenuptial agreements. Dennis has been recognized by Best Lawyers in America for 2018 and 2019. Best Lawyers is the oldest and one of the most respected peer review publication in the legal profession. Recognition in Best Lawyers is widely regarded by both clients and legal professionals as a significant honor, conferred on a lawyer by his or her peers. Dennis has been selected as an Ohio Super Lawyer Rising Star for years 2005, 2009 - 2013 2013 (last year of eligibility) and Super Lawyer for years 2016-2018. Selected as Super Lawyer in Ohio for 2019 by Super Lawyers Magazine. Selected as one of the Top 50 Lawyers in Columbus by Super Lawyers Magazine. Only five percent of the total lawyers in the state are selected for inclusion in Super Lawyers. Super Lawyers selects attorneys using a patented multiphase selection process involving peer nominations and evaluations combined with third party research. Dennis has also been listed in Columbus CEO Magazine as a Top Lawyer for 2015 and 2016. Dennis has been selected by The National Trial Lawyers: Top 40 under 40 in Ohio which is by invitation only and is extended exclusively to individuals who exemplify superior qualifications and leadership as a trial lawyer. In addition, Dennis has a 10.0 out of 10.0 Superb AVVO rating, listed in Rue Ratings' Best Attorneys in America, and 2015 AVVO Clients' Choice Award Winner.